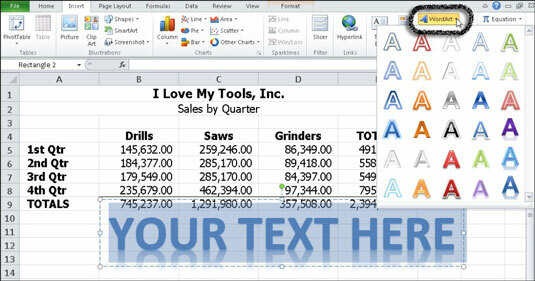 Use WordArt — stylized text objects — to add pizzazz and emphasis to headings and other text in your Excel 2010 worksheets. 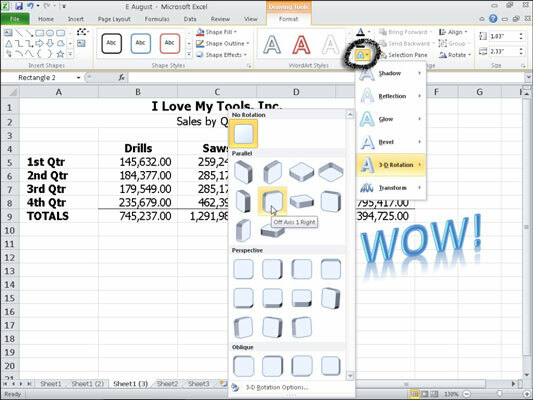 WordArt objects can be moved, resized, arranged, rotated, and formatted just like other graphic objects in Excel. Type the text you want the WordArt object to say. Text Effects applies special effects such as shadow, reflection, rotation, and bevel. Use Text Effects to apply effects such as 3-D rotation to a WordArt object.